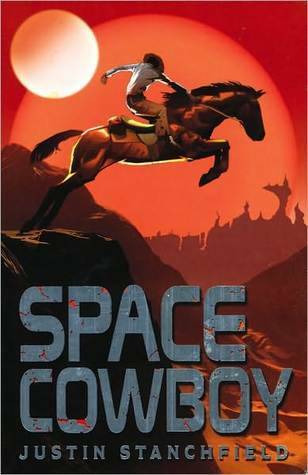 Description from goodreads: Teenage cowboy, Travis McClure, is desperate for adventure. He’s bored with life on the remote planet of Aletha Three, herding cattle all day. But everything changes when he comes face-to-face with a creature that should only exist in nightmares. I actually had to read this for work and I just want to say. I really don’t like the whole cowboy thing, I don’t. I’m not a fan of westerns at all and even though it’s not my favorite genre I really liked this book! It had a good balance of mystery, romance, comedy and thriller. I wasn’t expecting to remotely liking this story about a hum drum kid stuck on a desert planet but I did. I liked him I liked his family, it was so refreshing and I think anyone could really enjoy this book. Unfortunately it’s been a couple of weeks since I read it and I’m being slow on my reading this week so I thought I should at least review a book and since this one has to little press I encourage you to give it a try because it will surprise you.